Reflections on how Faith & the Scriptures intersect Life & Society. Ever felt like you’ve lost your way, or felt off-kilter but couldn’t pin-point why or how you got there? That’s me and I just hate that feeling. I have found that making time for contemplation and communion with God helps me be more grounded and centered so I don’t lose my way. It is called spiritual resilience and it can be developed (read here). Spiritual resilience is a term recognized even by the U.S. military (read here). Spiritual resilience is not necessarily religious, but yes, having a religious basis helps to give one’s spirituality a framework. Spirituality and spiritual resilience are like the muscles that give us strength; and religion is like the skeleton that holds up our muscles. Having one without the other is difficult, but both together will complement one another. Without this grounding or spiritual resilience, we become more vulnerable to burning out, anger, envy, bitterness, lack of self-control when stressed, and other negative emotions. The advantages of spiritual resilience shines through at certain stressful times in our lives, like being on military operations, going through divorce, losing a job or a loved one. Our ability to be resilience becomes more apparent to us when we go through tough times. People who are less vulnerable to these things under stress tend to have a more developed spirituality. 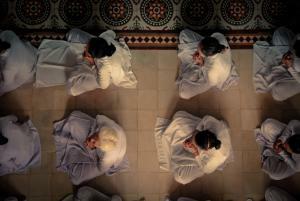 People practice spirituality in different ways–either religious or not religious. Some might be Christian monks and nuns. Some might be ordinary Catholics or evangelical Christians. I’m not saying we have to become monks, nuns or holy people to be spiritual. Almost every major religion have their sets of spiritual disciplines that followers can practice in order to center themselves and develop spiritual resilience. These are virtues. As human beings, there might be times in our lives when we seek to be more spiritually-grounded. We innately know there is something greater than ourselves that we can turn to. A belief in a higher power becomes our strength. Every so often, any person can veer off the virtuous path, lose hope, lose our morals, or lose one’s desire to live. We are all fallen human beings who fail at one point or another. The scriptures speak on the wisdom of patience and long-suffering, but how do we develop this spiritual character? Through practice and discipline. It’s like learning to ride a bicycle or an instrument. Personally, for me there are times when I feel I might need to be more spiritually grounded and return to practicing some spiritual disciplines again. Some people find themselves returning to church in order to find themselves. If that is how you feel, then go for it. If within our Christian disciplines, we can deepen our spirituality, we might gain more self-control of our personal lives and become better people. Without a spirituality and spiritual resilience, even the best of people can lose our ways and lose our balance. A deeper spirituality can help individuals become more centered and spiritually in-tune with God, with themselves, and with others. It be time to return to a closer communion with God. Have you ever blown your top, got angry and resented the words that came out of your mouth? I have. It might feel good to release some steam and pressure but the results are short-term gain but long-term pain. The bible speaks of anger. It acknowledges our human weakness, anger. It sounds like it isn’t necessarily a sin to get angry but it is a less desirable emotion. Anger causes us to do crazy things. It opens the door to hatred, violence, fights, war and terrorism. As human beings, we are better off to seek peace and to create peaceful resolutions. Being quick-tempered is a sign of folly but wisdom and peace create harmony: “A soft answer turns away wrath, but a harsh word stirs up anger.” (Proverbs 15:1) “A fool gives full vent to anger, but the wise quietly holds it back” (Prov. 29:11). In another instance, a fishing line — which had taken days to braid — immediately broke on the first use. No one flinched in anger. “Sew it together,” someone said quietly. This self-control comes from discipline. We might come from many cultures, e.g., Italian, Middle Eastern, Asian, Western, etc. Some of our cultures do not keep anger very well hidden. We can be quick to show our anger. Inuit culture on the other hand, seems to be the opposite. I think this something we can learn from our First Nations–Indigenous brothers and sisters. It makes me wonder if training and spiritual disciplines might be a good thing in our children’s upbringing–and yes, also in many of us adults too. Our prayers go out to those on the Ethiopian Airlines Boeing 737 MAX 8 that crashed this weekend. It is devastating for families with family members on this flight. May God be with the surviving family members. Amongst the 157 people from 35 countries who died, there were 18 Canadians. One was a Brampton, Ontario family of six with three generations including a 5 year old. There were 20 people who worked with the United Nations. There were 8 Americans and 7 British citizens (read full story). The Thinker. Artist: Rodin. Legion of Honor in San Francisco CA. Struggling with issues in our culture, life and society is not a bad thing. Everyone goes through these phases at different stages in our life. Things can be at odds with our personal ideals and values and can challenge our spirituality. You might even doubt your faith. We might come to question and doubt ourselves because we wonder if what we value are right or wrong. I also have also doubted too. We can either become antagonistic toward culture and society and run closer to religion. Or we can become antagonistic toward religion and shift toward secular/popular culture, or even agnosticism/atheism. We all wonder at times whether what we’re doing is right or the cool or uncool thing. We might feel, “Forget what the rest of the world thinks. I’ll do what I feel is right.” We try to fit in. Do things the easy way. Walk the wide road. At times, we lose a sense of who we are. Sounds like it’s happened to you before? Our lives are not static but can be in flux, changing. We might still be getting to know who we are. Figuring out what’s right… and what fits my situation and circumstances. God and our conscience might be telling us one thing; and the world might be telling us something completely opposite. Life can be confusing and society doesn’t always seem helpful. Pressures all around us. We don’t feel safe to give ourselves room, to ask, and reflect on whether what we practice makes sense to ourselves within our culture. “If you love me, you will keep my commandments. And I will ask the Father, and he will give you another Helper, to be with you forever, even the Spirit of truth, whom the world cannot receive, because it neither sees him nor knows him. You know him, for he dwells with you and will be in you” (John 14:15-17, ESV). In the end, pray and ask God to give you grace. In Christ, God will absolve us from all our doubts, out wanderings, our hard-heartedness and rebellion. Let him be the captain of your soul and He will send you his Holy Spirit and his Word to comfort and counsel you. In this life, there might be people who sacrificed the possibility of a romantic relationship because that attractive guy or girl demanded too much of their time, money and attention. They were not ready to sacrifice their relationship with God. There might be people who lost jobs and business opportunities for moral reasons. They didn’t want to go against their values. Discipleship can come with many temptations. Jesus had a huge following of fans. He had paparazzi hounding him all day. People were astounded by what Jesus could do. He was a fantastic speaker. He was a very charismatic spiritual and religious leader. He was a performer of miracles and healed many people with disabilities and illnesses. Despite his huge fan base, Jesus would have known that only some of his fans would actually become devoted disciples who would follow him to their deaths. Jesus presented a challenge to true discipleship because he wanted hard-core followers, not just a large fan base. Jesus was a person who understood sacrifice and calculating the cost of following him. He knew there would be hardships in following him to the end. He used an example of the cost of constructing a skyscraper (v.28-30). He followed up with an example of the cost of carrying out a military operation (vv.31-32). If a person is not willing to sacrifice everything to follow Jesus, they might end up resenting their decision. In this life, there are costs in following Jesus. Jesus expects us to see the long-term possibility of losing everything. He said, “So, therefore, any one of you who does not renounce all that he has cannot be my disciple” (v.33). In some countries, Christians are persecuted for their faith and face death threats. Are we ready for anything if this were the case? Jesus said to his disciples in Luke 6:27-28, “Love your enemies, do good to those who hate you, bless those who curse you, pray for those who mistreat you.” It’s a parallel to Jesus’ sermon on the Mount in Matthew ch. 5-7. When I think on this, there are days when I might think to myself, “Yes, I can obey Jesus’ law to love my enemies—that’s easy.” But in all honesty, there might be some bad days when I feel I cannot even love my friends or even my family, let alone my enemies. There can be a real challenge in following through with this command. For some, this might be easier to do depending on the day and on our circumstances. It might depend on where people are at in their lives. 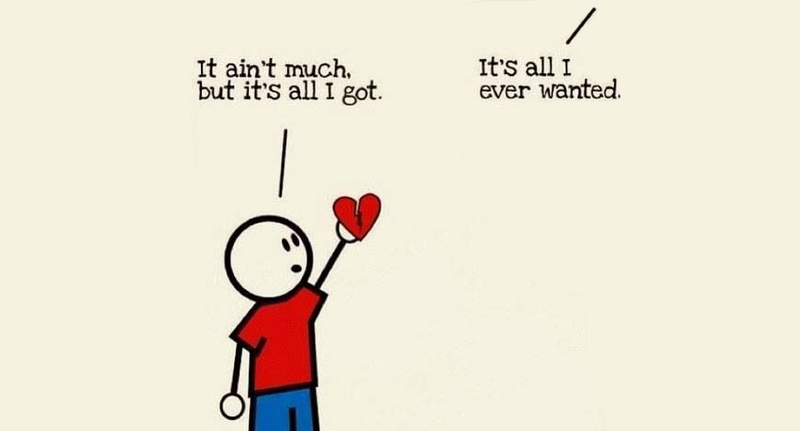 For some, our hurts and traumas can easily override our ability to love others. The last thing we can expect someone who has been hurt is to love their perpetrators. A person’s visceral reaction in anger might be: “I’m going to wipe them out! Give me a rock…give me a button… give me a trigger… At certain times in one’s life, it would not surprise me one bit if a person could do it without shedding a tear or breaking out in a sweat. Jesus’ command seems to stand in stark contrast to the desire of our flesh. How do we interpret this passage of Scripture? Was this a piece of good advice or nugget of wisdom? Or was it a command? What if the entirety of Jesus’ Sermon on the Mount from Luke and Matthew was meant to describe the impossible? What humanism has wanted to achieve perfection in humanity might actually be next to impossible. If the latter is true, it forces you and I to turn to God for mercy and grace each and every day. You might see human perfection as a possibility. For me personally, at this point of time in my own life, the possibility of achieving human perfection is impossible. If Jesus’ sayings from the Sermon on the Mount were meant to be prescriptions of laws that we must obey, then I would definitely be a failure. Over time, we might, at one point or another, fail to live up to most or all of Jesus’ commandments. When we are in the flesh and operating in the needs and desires of the flesh, it is very hard to love our enemies. Our flesh will naturally want to destroy or defeat our enemies using our human means and methods. Yes even when we are living as Christians, praying hard and committing ourselves each day to live with Christ, this spiritual battle won’t be easy. But when we are operating in the love of Christ, there is less reason to give into the flesh. Jesus asks us to give him all of our worries. When Jesus asked us to bless those who curse us, it is because there is something that happens in the spiritual realm that we do not see. On the surface, there is nothing to be gained eternally by blessing those who curse us. If this was a command, then what reward would there be? There is a blessing in simply loving others without expecting to receive anything in return from our fellow neighbor. We can love others just for the sake of loving others. There is no ulterior motive to love our neighbor. This is pure freedom. Christ can free us from the fleshly desires in this world so that we can love the unlovable, do good, and give without expecting anything in return (v.35). To truly love our enemies who have full intentions of hurting us without mercy is the hardest thing to do in the world. Personally, I know I don’t have the patience or the strength within myself to love my enemy. My human flesh tells me to kill whoever might want me dead. I do not have the tenacity to wait it out to see what happens. To me, this command is like telling me to fail. After recognizing my human weakness, I realize that I need to fall upon the grace and mercy of God. I would rather hold my hands up and say to the Lord, “Lord, if you are real, give me your grace. I cannot love my enemies. I cannot stop hating them for even one second. Pour out your grace upon my life. Have pity on this poor soul. I need you God.” This would be me after God has driven me to utter submission. 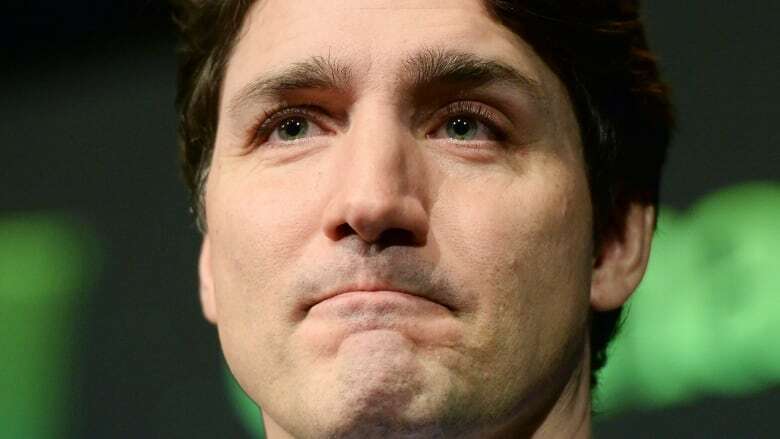 In Canada, the Trudeau—SNC Lavalin affair could soon have Prime Minister Justin Trudeau in very big trouble. There are real facts being revealed. The former Attorney General (A-G), Jody Wilson-Raybould, revealed Trudeau’s manipulation. Trudeau tried to force the Attorney-General to intervene in order to get a Quebec company out of legal trouble. He broke the rules of political non-interference. Using an A-G to get the company out of trouble was illegal. Trudeau’s illegal action can be qualified as obstruction of justice. Could Canada see its Prime Minister go to jail? There have been previous cases where people were convicted of crimes with less evidence than what has been presented here. What we know for sure is that someone committed something wrong. There are many other actions that give evidence that someone did something wrong. There will no doubt be more evidence rising from other witnesses before the justice committee. There will also be a police investigation (likely by the RCMP). 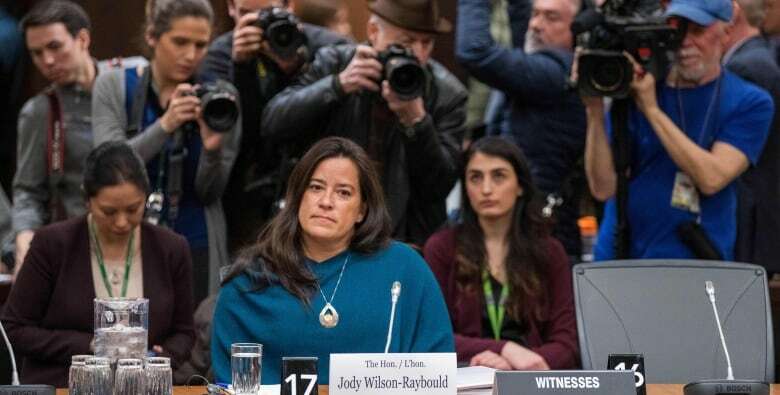 Wilson-Raybould (A-G) testified before the House of Commons justice committee of being hounded and pressured to do what he wanted. There were veiled threats by the Prime Minister. No wonder she was removed from her portfolio as Attorney-General by Trudeau. Her cabinet removal from Attorney-General was undoubtedly politically motivated in order to muzzle her and punish her for not “playing the game”. Good on her. She stood firm and did the right thing. Liberal Administration also tried to muzzle her (and others) from testifying in the justice committee. The opposition Conservatives and the Canadian public said “No way!”. They got their way. The former A-G did get the opportunity to tell her side of the story and hopefully will speak more. We need to know more of the facts from others too. Gerald Butts, Trudeau’s former right-hand man in government, resigned last week for a good reason. He knew there was trouble brewing ahead. He might also be found guilty of something—hence his resignation. The Quebec engineering company, SNC-Lavalin, was stuck in a federal corruption case. Trudeau’s government is giving the excuse that it was about saving jobs. That’s hog wash and I think every Canadian knows it. Nullifying an illegal act and giving the excuse that it wants to protect Canadian jobs? An Illegal action is still an illegal action. A crime is still a crime. The people want the truth and confession. This case is a smoking-gun and will definitely be in the news for a while. It’s not going away until the case is solved. I think this will definitely influence the future federal elections in Canada. I would not be surprised if the Trudeau Liberals get elected out of government, or be forced to leave office before the next election. The federal Liberals got elected into government because people wanted change, honesty and transparency. Well, it looks like they didn’t get it from Trudeau (read story here from: BBC News and Globe & Mail).